@CBarca wrote: You guys should build your team around Modric. It's crazy enough that you're Barca fan, but let's not go completely nuts. He has been great so far this season. Though he's not the leader that we need like Xabi, Modric brings a lot to our midfield that we need like creativity, some defensive pressing, and great positional awareness. Well worth the 30m IMO. He is a must against PTB teams btw...he has probably the best composure in our team after Isco. @Adit wrote: He is a must against PTB teams btw...he has probably the best composure in our team after Isco. come on fan/hate boys - he is doing fine this season. Modric played his 50th game for Real Madrid against Celta Vigo. Best midfielder in La Liga atm. 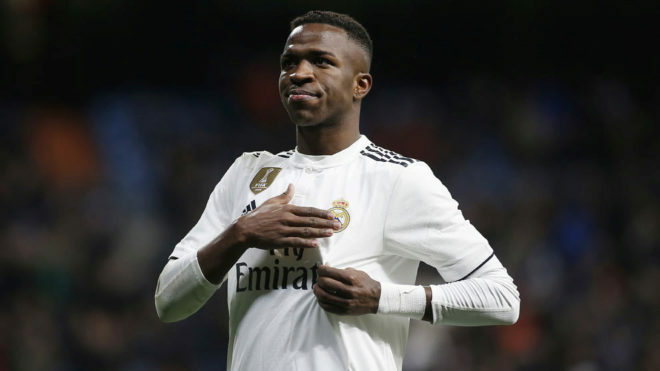 I don't know about best mid in laliga, but he was very impressing this season, and finally plugged the hole we had in the midfield when Alonso went back and protected the defense, and Kedeira ran like a chicken forward leaving the midfield empty for most teams to control against us. Name me players in our squad who are better than Isco in controlling ball in tight spaces? Dont tell me Ronaldo, because he is actually shet at controlling the ball when he isnt on a run and there isnt space. Benzema? whose ball control is good yet have no ability to get out of tight situations. Only one even comparable is Modric and in my opinion Isco edges it. A pleasure to watch him. Best midfielder in the world this season. @Valkyrja wrote: A pleasure to watch him. Best midfielder in the world this season. this half season you mean ? yes. no other midfielder performed better this season. First one to approve the signing and knew all about his technical side and qualities all around the midfield, despite constant bitching from others. Everyone me. I think I either overrated this guy or he underrates himself. Its just annoying how he slows the game down and makes simple decisions when he could perform some magic as he rarely does. Di maria keeps the left midfield locked down and it seems like all our dangerous plays go through that side of the pitch. According to the formation, with modric being a right-sided midfielder, he is meant to keep that side locked down too and make some assists like di maria, but he wud rather just sit deep, holding the ball forever without creating serious danger. He needs to up his game cos he is getting to irritate me. echoing my thoughts exactly. He is your definition of counter attack killer. @shadexticos wrote: I think I either overrated this guy or he underrates himself. Di Maria and Modric have different roles. Di Maria plays as a LM when he attacks, Modric plays as a CM/RCM. The way we play makes it easier for Di Maria to assist because of his hybrid role. @halamadrid2 wrote: echoing my thoughts exactly. He is your definition of counter attack killer. He's not been awful in any game. In the first half vs Barca, yeh fair enough he wasn't at his best. But the majority of team haven't been at their best in the big games. It's no individual's fault, it's the entire team and Ancelotti's fault for getting things wrong tactically. Modric wins Croatian footballer of the year for the 2nd year in a row. The Croatian international is in his third season at Real Madrid, where he has played 109 games. Luka Modric is celebrating his 29th birthday today. The midfielder, who was born on 9 September 1985 in Zadar (Croatia), arrived at Real Madrid in the summer of 2012 from Tottenham. Since then he has played 109 games, in which he has scored six goals. The success of the Balkan player since his arrival led to his recent contract extension with Real Madrid. His record as a Madrid player includes a Champions League, a European Super Cup, a Copa del Rey and a Supercopa de España. At the start of this season he also surpassed Suker's record at Real Madrid and has now played more matches for the club than any other Croatian in its history.